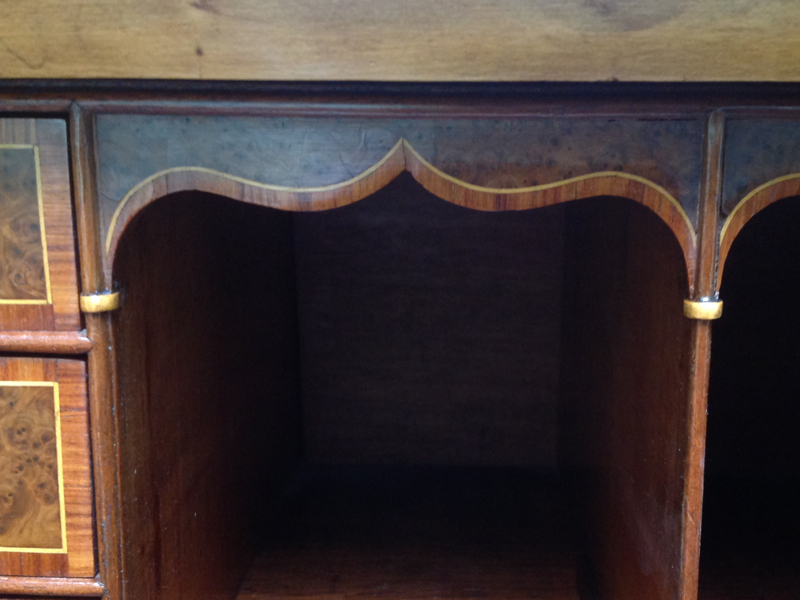 A Hepplewhite period yew wood cylinder bureau with tulipwood cross banding. 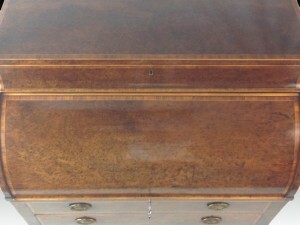 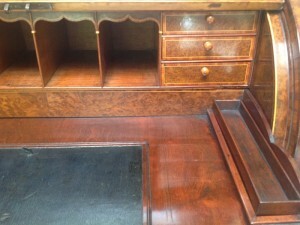 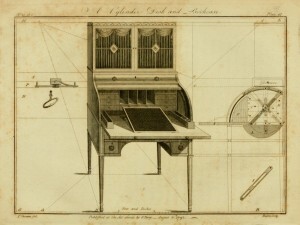 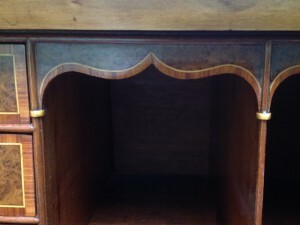 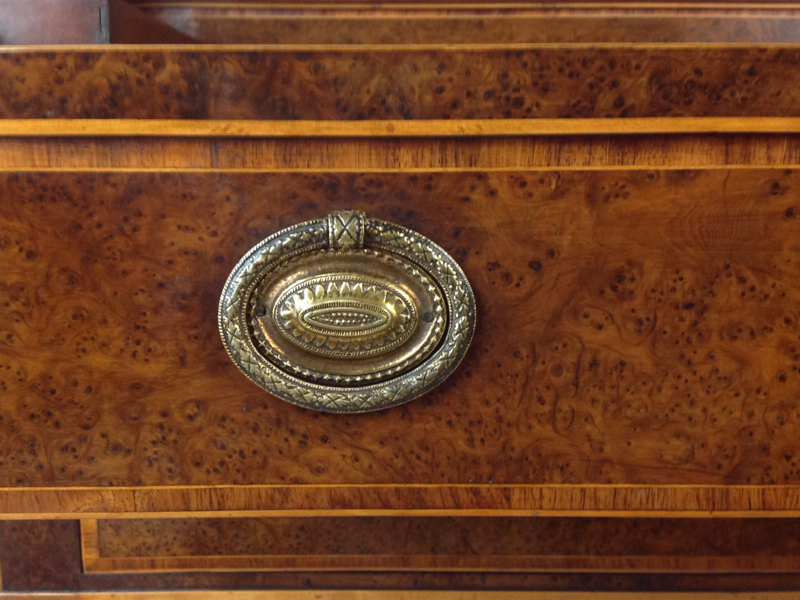 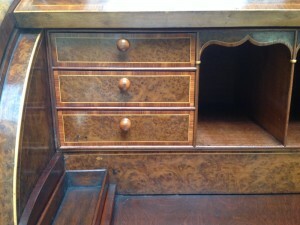 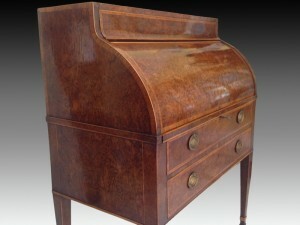 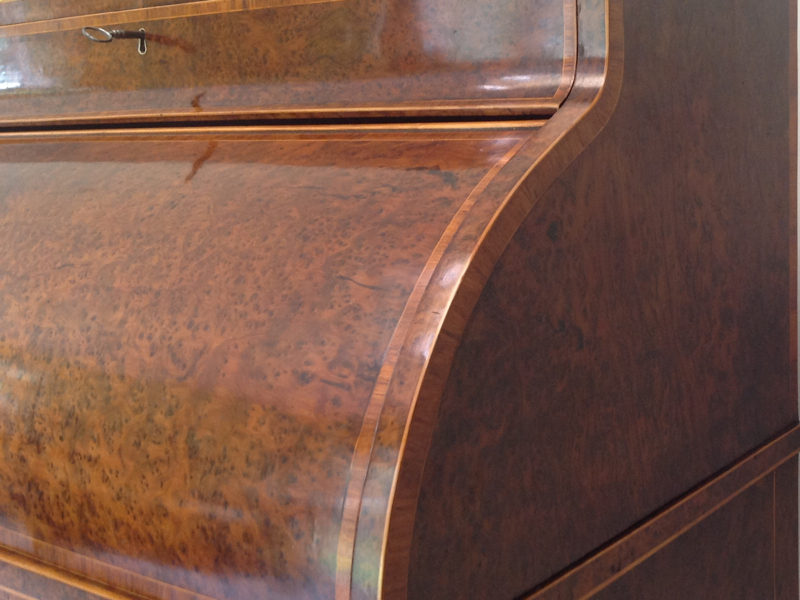 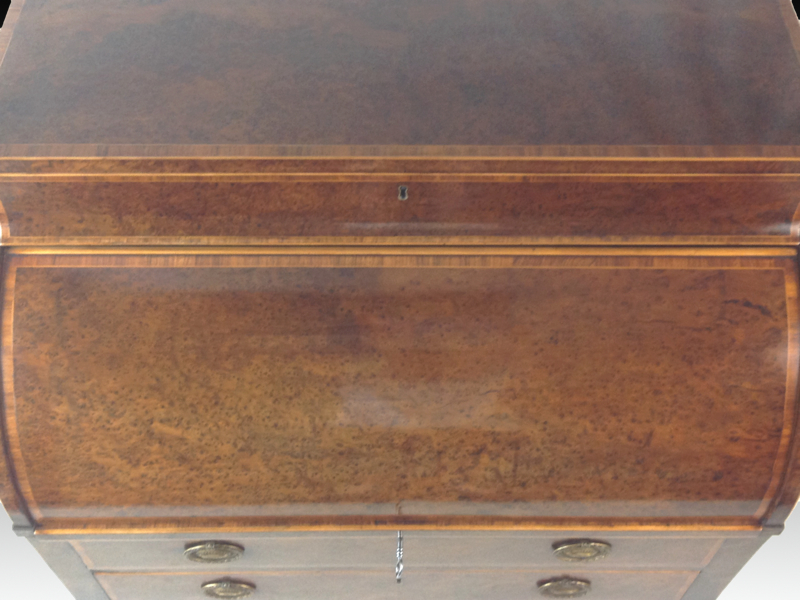 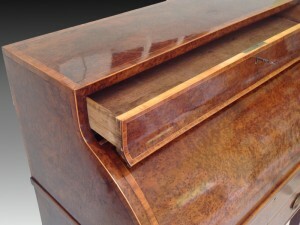 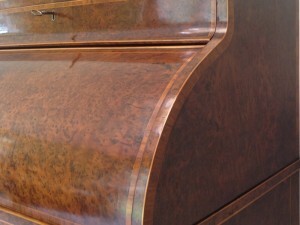 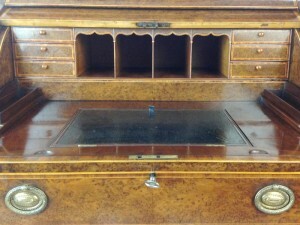 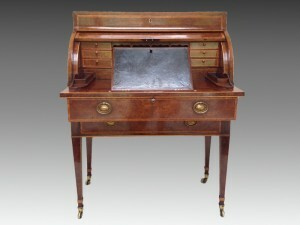 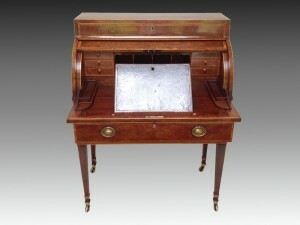 The rectangular top above a concave frieze oak lined drawer, above a cylinder roll top, a fine expanse of superbly chosen burr veneer difficult to obtain in such a large size, opening when the drawer is pulled to reveal a finely fitted interior of pigeon holes and six drawers, with adjustable writing slope sliding to the open drawer. 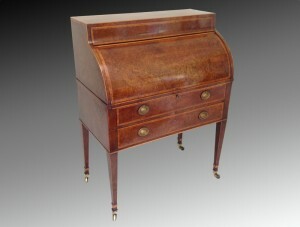 The plain lower oak lined drawer standing on four tapping square legs with boxwood collars, ending in brass caps and castors. The outer handles and twin pen trays replaced. 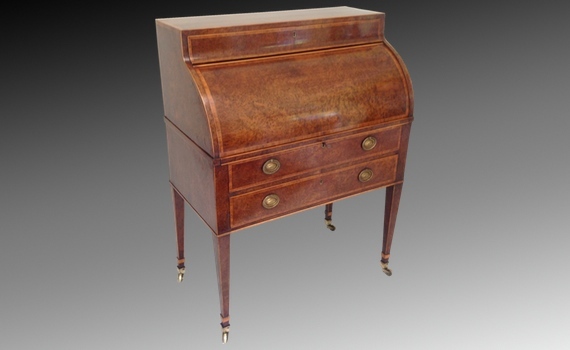 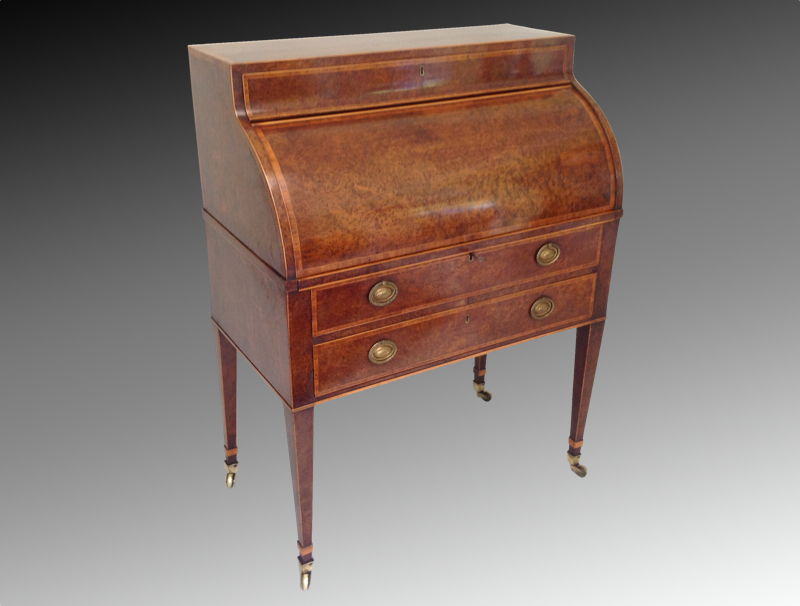 An amboyna wood cylinder bureau of similar proportions and features is illustrated in Stevens & Whittington 18th Century English Furniture The Norman Adams Collections, p 128. 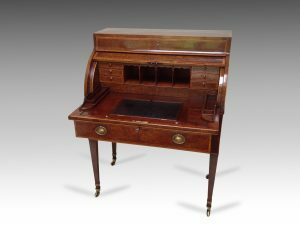 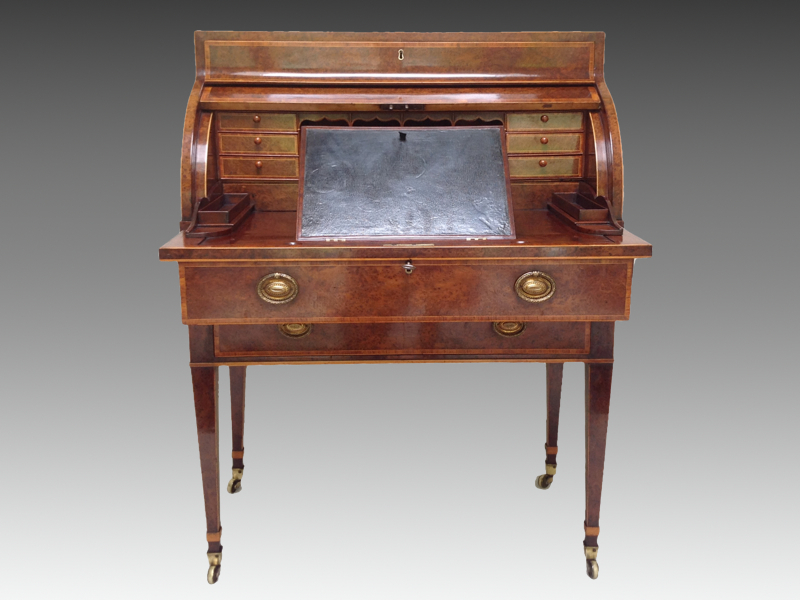 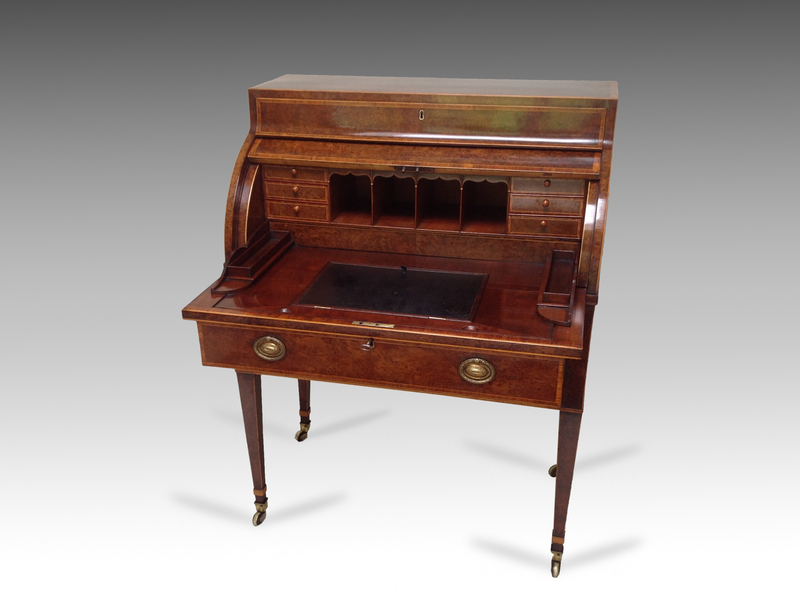 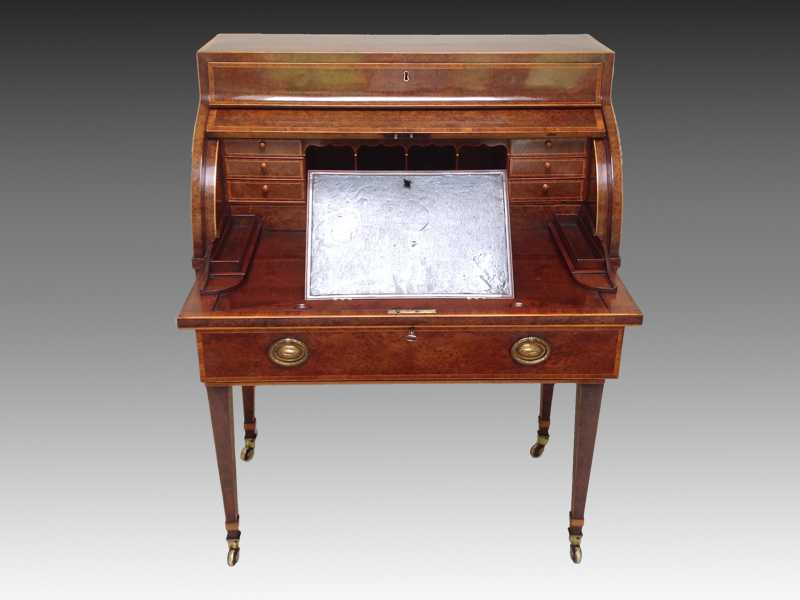 A Yew wood cylinder bureau also crossbanded in tulipwood and with the same configuration to the slide is illustrated on p. 215.